This headline is meant to be a wake up call for anyone that reads it. 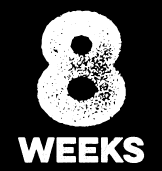 Can you believe that there are only 8 weeks left in the year? Now is a great time to take stock on everything you have accomplished these past 10 months. Look back at how far you have come, everything you have accomplished, and those last few things that you have left to do before the ball drops on 2018. There is still time accomplish some great things this year, but beware- I heard holiday music on the radio yesterday and the retailers are about to take over. Here is a great way to start creating next years plan. Take last years plan, look at it, decide what you want to change or modify. What are you going to eliminate because you’ve done it or it’s not longer relevant. What are you going to add to it that is really exciting. How are you going to challenge yourself to do more, accomplish more and achieve everything you want. How are you going to make 2019 your most successful year ever? Do yourself a huge favor and block out 1 hour this week to create your plan for next year. If you need some help or a push in the right direction, reach out to me. My mission over the next 8 weeks is to get everyone I come into contact with rolling like a freight train by the time we hit January 1st.